In India and several other parts of the world, a saree is considered to be the most sensual women’s attire. It is perfect for all body types and extremely comfortable to wear. A saree is a perfect representation of feminine beauty and is not just a piece of clothing but a form of expression that most women find resonation with. From casual daily wear to elaborate bridal designs, sarees are available in several types from all over the country. For someone who loves to try out different types and patterns of clothing, the vast variety of Indian sarees will be nothing short of paradise. Most women will agree that owning various types of traditional sarees from all over the country is one of their wardrobe goals. Given below are some traditional sarees from all over India that have not yet been tarnished by modern designs. Every Indian state and even smaller geographical regions have their own speciality when it comes to sarees. In order to make a better selection of sarees and to fulfil your traditional wardrobe goals, here is a guide to the best traditional saree types from all over the country. Eastern India and the types of sarees that this region has contributed to Indian culture are known all over the world. Most of the sarees from this region use cotton as the base material for weaving because of weather conditions and the availability of cotton fibre. Kantha is actually a type of embroidery, which gives this saree its name. Any saree embellished with kantha embroidery is known as a kantha saree. It uses ornamental motifs that use running stitch in rich colours. The art of kantha embroidery is done by the women in rural West Bengal and takes immense skill and patience. The art of weaving Baluchari sarees is believed to be more than 200 years old. It is generally designed to have bright colours and intricate designs that depict tales from folklores and epics such as Ramayana and Mahabharata. Deep reds, purples, and blues are some of the popular colours on which this handloom silk saree is printed on. The taanth saree is the absolute favourite of all cotton lovers. Although it might be hard to drape for the inexperienced ones, a taanth saree can accentuate a woman’s curves. The traditional appearance of taanth sarees is unmatched by few other saree varieties. West India is famous all over the world for its textile industries and skilled weavers. Sarees from Western India use bright and happy colours and are known for their intricate, regal designs. Extremely popular in Rajasthan and Gujarat, this tie and dye saree is a favourite of most Indian women. Bandhani sarees are printed on a white base and bright colours such as blue, pink, red, yellow and green are used for the tie and dye designs. The exact literal meaning of leheriya is waves. 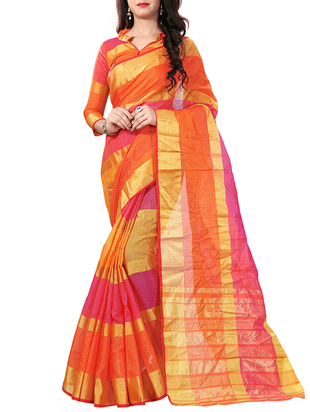 This type of saree is characterised by wave like patterns or a brightly coloured field. Vibrant leheriya sarees are known for their bright bursts of colour. As leheriya is a type of design, it can be done on any type of fabric and several distinct designs can be created with it. The Southern region of India has a distinct style of clothing and jewellery which is famous not only in India but all over the world. The intricate process of weaving this saree is one of the most important reasons for its wide popularity. Kanjeevaram or Kanchipuram sarees are woven on high quality silk fabrics which are embellished with silver threads dipped in gold. These sarees are also known for their durable nature and beautiful motifs. A speciality of Tamil Nadu, these sarees are characterised by their wide borders and intricately designed motifs. These sarees are known as Temple sarees as they are usually meant to be draped around statues of gods and goddesses. North Indian sarees are best known for their regal and majestic appearance and elaborate designs. Banaras brocades sarees are characterised by their fringes of jhalar designs that resemble a string of leaves. This type of saree is popular among Indian brides and is one of the oldest forms of bridal wear still in use today. Traditional motifs and embroideries are some of the well-known characteristics of this saree. These sarees still follow the age-old designing and weaving processes and not much change has been incorporated. This trait of the traditional Indian saree designs makes them one of a kind. 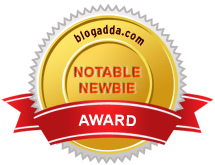 ~This article is written by Guest author Pooja Maan. i know about the Eastern India sarees, the names are well known to me, though i cant differentiate the patterns. Thank you very much for sharing this very useful information about sarees. All are very nice collection. but Leheriya Sarees are best for me. thanks for sharing this.